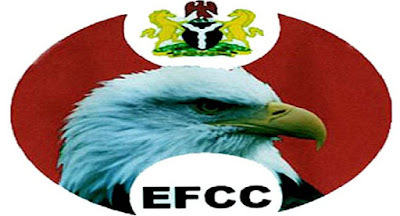 The Economic and Financial Crimes Commission (EFCC) on Thursday told the Federal High Court in Lagos that a Senator representing Delta North Senatorial District, Peter Nwaoboshi, allegedly defrauded the state of N1.5billion and laundered part of it through a company known as Suiming Nigeria Ltd. The commission is praying the court not to discharge an interim order made by Justice Abdullazeez Anka forfeiting a 12-storey building allegedly belonging to the Senator. EFCC alleged he acquired the property with part of the money. An EFCC operative, Garuba Abubakar, in a counter-affidavit opposing Nwaoboshi’s application, said the former Delta State chairman of the Peoples Democratic Party (PDP) got a contract through one of his companies, Bilderberg Enterprises Limited, to supply new construction equipment to the state Direct Labour Agency at N1,580,000,000. The company allegedly imported and supplied used construction equipment rather than brand new ones despite receiving full payment. EFCC said Nwaoboshi, with the proceeds, bought the 12-floor building at 29 Marine Road, Apapa, Lagos, from Delta State Government at N805million in the name of Golden Touch Construction Projects Limited. According to EFCC, Nwaoboshi has 20 bank accounts which he operates in Nigeria, while companies directly linked to him maintain another 20. The commission said the interim forfeiture order granted on April 21 was to preserve the property from being dissipated. “A criminal charge will most likely be preferred against the respondents at the conclusion of investigation. As part of our investigation procedure, the first respondent (Nwaoboshi) will be invited very soon after having assembled all incriminating evidence against him before charging him and others to court,” the deponent said. EFCC said contrary to the Senator’s claim that he sold the property to Suiming Nigeria, the company belongs to him. “The first respondent is the alter ego of Suiming Nigeria as contained in his Asset Declaration Form. The first respondent controls the affairs of Suiming Nigeria Limited, the second (Golden Touch Construction) and third (Bilderberg Enterprises) respondents, but deliberately hides his identity. “The purported transaction between second respondent and Suiming Electricals Limited is a transaction done by one and same person – the first respondent, which is typical of money laundering scheme. It is in the interest of justice to refuse this application,” EFCC added.